Terms and conditions may apply, see Centre Management for details. FREE Easter Crafts & FREE Photos with the Easter Bunny! 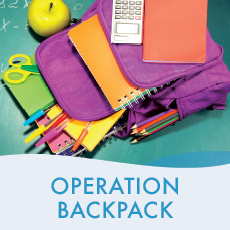 Toowoomba Plaza is proud to be supporting Operation Backpack again in 2019! Help us ensure local kids in need receive the necessary items to get them back to school. The Operation Backpack donation barrel is located at the Kmart entrance to the Centre. *All items are distributed by St Vincent De Paul Society Toowoomba. 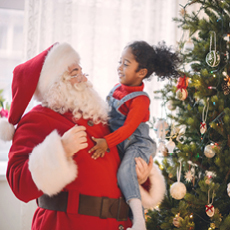 Join in the fun at Santa's Arrival with Santa, Mrs Claus and the Elves, FREE Face Painting, FREE gift for the kids and more! PLUS the first 50 kids to visit Santa get a FREE photo! 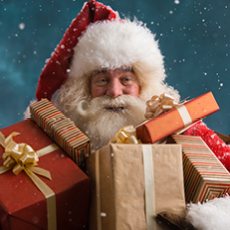 Have your photo taken with Santa by Peter Rickards Photography at Toowoomba Plaza this Christmas! *Santa hours are subject to change. 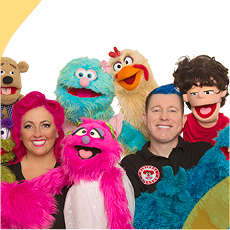 Larrikin Puppets are bringing their colourful and exciting puppet show to Toowoomba Plaza these September school holidays! Be delighted by Troggg the friendly blue monster and all of his furry, funny friends at 11am daily from Monday 24th September through to Friday 28th September!